Lucky Dog Vouchers Up for Grabs! | Hello Saigon! 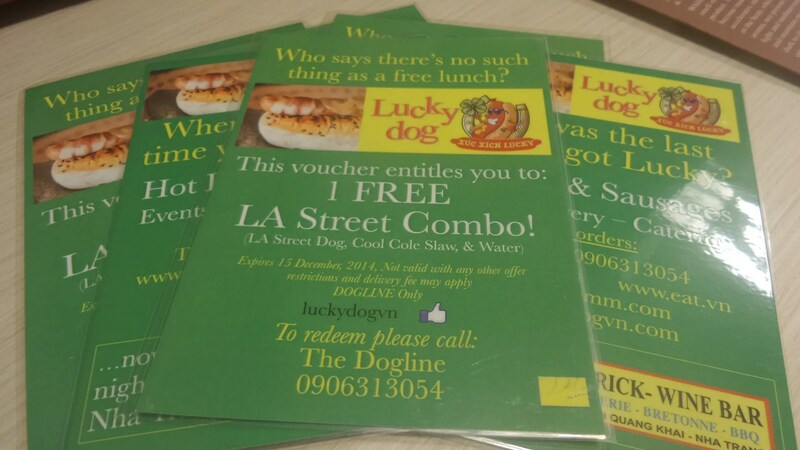 Lucky Dog Vouchers Up for Grabs! As part of our anniversary celebration, we are giving away 6 Lucky Dog meal vouchers! If you want one, leave your email on the comments section to this post. 2 Responses to Lucky Dog Vouchers Up for Grabs! Hi! I’d like a voucher if you’re giving them away. I’m not sure I want to leave my email address here, is there a way I can contact you via email? Thanks! And Happy Anniversary! Sure! Let me know where to send it. Or email me at hellosaigoncity@gmail.com or let me know if you can pick up at D1.